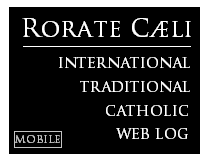 RORATE CÆLI: "The not-so-immaculate Curia. They don't even get arithmetic." "The not-so-immaculate Curia. They don't even get arithmetic." At the end of the press conference held in the Vatican on January 31, Cardinal João Braz de Aviz, Prefect of the Congregation for Religious along with the Secretary from the same congregation, José Rodriguez Carballo, delivered two brief notes regarding the two hottest cases of the moment: the Legionaries of Christ and the Franciscans of the Immaculate. Stop right there! 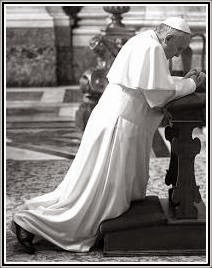 According to the data of the questionaire, submitted to the friars by the apostolic visitor and made public last September 19th with authorization from the Vatican, 39% had responded that everything was basically going well, while 61% had complained that there were problems. Of this 61%, 26% had affirmed that the problems could be solved by an ordinary General Chapter of the Institute, on the agenda for June 2014, whereas 74% [of this 61%] had responded that what was necessary in order to resolve the problems was an extraordinary General Chapter (to be called before the expiry date) - or the appointment of an external commissioner. Therefore, if arithmetic is an not opinion, the appointing of an external commissioner was requested not by three quarters of the friars – as is asserted in the note – but 74% of 61%, that is by 45% of the total, a minority, and not even from all these, given that for some of them an extraordinary General Chapter would have been sufficient. Out of a total of circa 350 friars, 21 are a very small minority – 6 per cent. And yet, this ‘ little pebble’ was sufficient to trigger off the landslide that is destroying one of the most fervent religious congregations recently founded: rich in young male and female vocations, of sure doctrinal orthodoxy and admirable obedience, but suddenly, by the will of Pope Francis himself, punished,[ being denied] the faculty of celebrating the Mass in the Old Rite according to the Motu proprio “Summorum Pontificum” issued by Benedict XVI, despite the January 31 note which now says that “the issue of the Old Rite is absolutely not the main reason” (never specified) for the appointment of an external commissioner.